The generic breakfast in the rooftop cafeteria offers an opportunity to peruse the contemporary inception of the ‘New Light of Myanmar’, which used to largely feature gushing articles about senior junta generals engaged in some ribbon-cutting ceremony, review of troops in some administrative sub-district, or lavish encounter with comparable brass in some like-minded regime, such as Laos. Now there are actually articles on the legendary revolutionary leader Bogyoke Aung San, the father of the long imprisoned figure of the country’s contemporary resistance, Aung San Suu Kyi. All that has changed – and much more. The paper is full of news of international events, economic development, real world social and political challenges, the country’s partnering with once remote hostile powers to engage in projects that once were unthinkable, the banal act of reading these pages at breakfast a testimony to the stunning changes the country has gone through. Descending downstairs, a group of travelers are sprawled across the seats of the lobby, backpacks on the ground, apparently waiting for their rooms. A young Japanese carries his pack up to his newly appointed room, the receptionist telling some other backpacker that the hotel is full. I begin worrying about the peril of arriving in Myitkyina by train in the middle of the night, with no hotel booking, given that most hotels in Myanmar are totally overpriced for what they are. The guide from the One Day tour to Amarapura and Sagaing greets me in the lobby. I climb into the cab of the minivan, next to the driver, in the back a French-Canadian couple from Montreal, a young French-Asian couple, a young German and Belgian woman, and the Estonian couple I met on the street the other day. Seated next to the driver, I am privileged to benefit directly from his tremendous cultural and political education. I grill him about local conditions and discuss once unthinkable subjects, such as why the junta backed off and let the country finally liberalize. Perhaps it all just got too boring for them -perhaps they got tired of being pariahs. I tell him that when I came to the country before, we were advised not to even speak to locals, as they could risk being punished by the junta. The streets at that time were lined with giant placards, replete with moralistic and threatening aphorisms regarding the devotion and respect the regime expected from the populace. 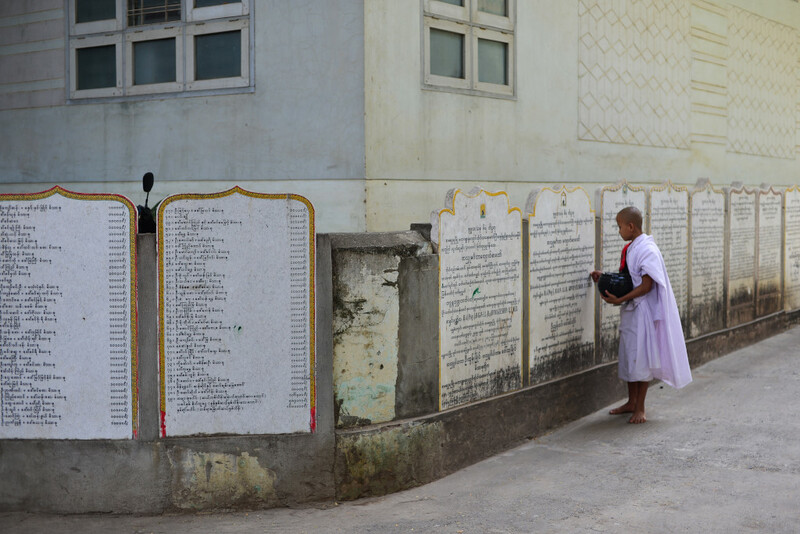 He tells me that soon the country will be celebrating a commemoration of Aung San, which is kind of a stunning turn of events, given the country’s recent political history. He works at one of the primary evening cultural attractions in the city, the marionette theater by the Sedona hotel, something I would also like to be able to take in. The driver explains that foreigners generally do not like Burmese food, not surprisingly, considering the local propensity for fish paste as well as other culinary wonders intended to drive foreigners away in droves. Burmese also favour sour foods, and apparently using a number of different techniques for souring, including the use of tamarind, fermentation, and others, which he finds it difficult to explain. The Irrawaddy is hazy as always, the views over the river blurred by what the driver claims is fog, but I disagree – it looks like smog, and breathing the air here it doesn’t take genius to come to such a conclusion. 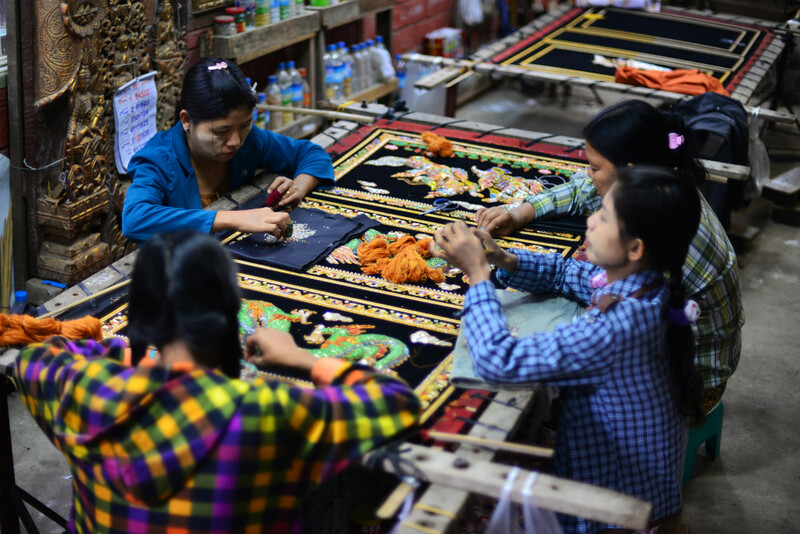 Our first stop into Amarapura is a large craft shop featuring small to large-scale carvings, most of a religious nature, in addition to traditional local weaving, the quality of which is astonishing. 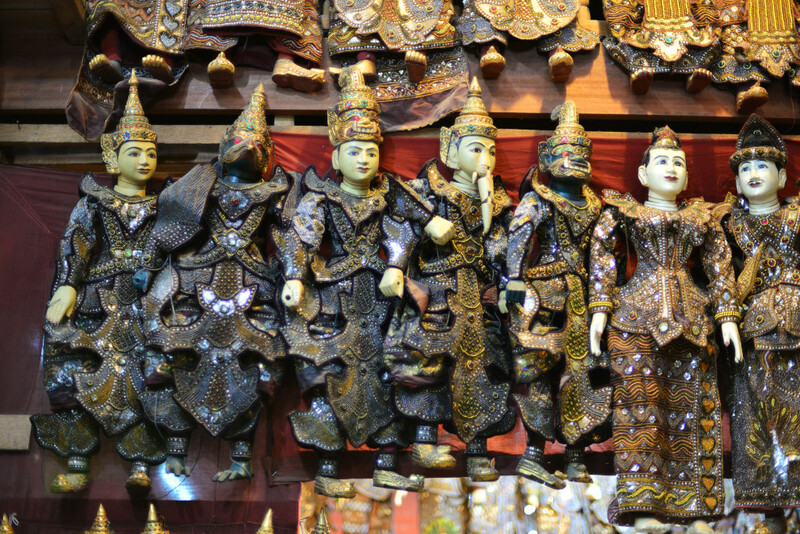 I bought traditional puppets in Myanmar on my first trip into the country, but they feature nowhere near the detailing I see on the puppets in this store. The teak carving is wonderful in its detail, and the stitching work is absolutely incredible. Sure, everyone in Asia does this kind of thing, and there is no question about the fact that the guides must get a commission from the workshop, but the offering is nonetheless top quality. Moreover, no one is trying to sell us anything, and if I was on my way out of the country I would definitely think about it. 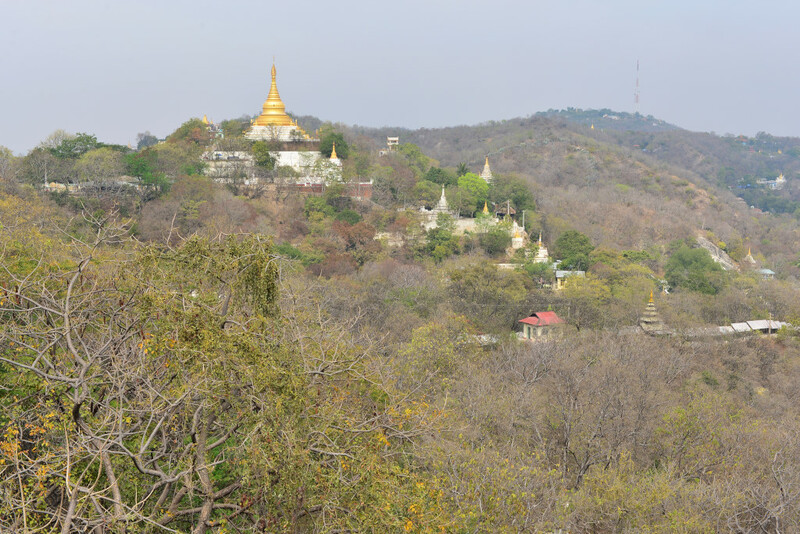 But alas, I am not – I am only at the beginning of my trip through Myanmar! 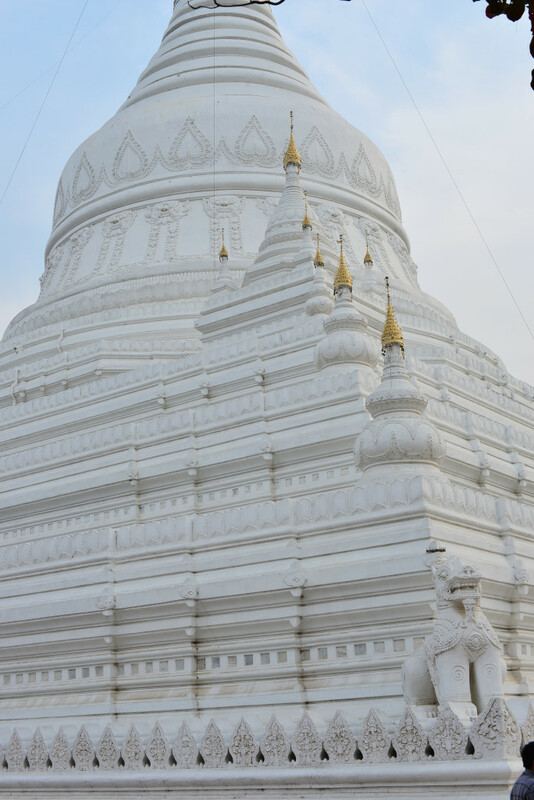 The Pathodawgyi Paya we are taken to is apparently one of two white pagodas in the country. All other in the country are golden, we are told, although I find that extremely hard to believe. But little does it matter, as we are the only tourists, in fact, the only visitors, and however inconsequential the place may be otherwise, at least we are spared from the circus we are about to be subjected to at subsequent sites. 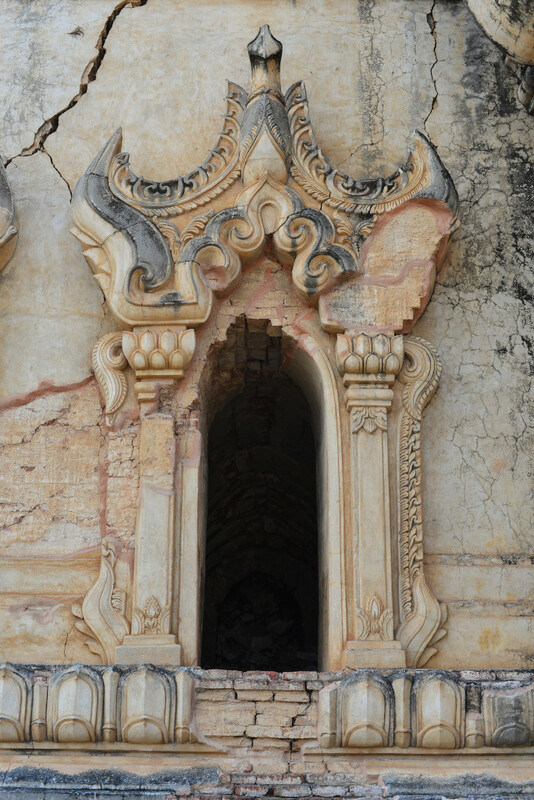 The giant white stupa is guarded by rearing stone lions in four corners, backed by a series of golden finial-capped bulbs running inwards, the structure recessing towards the peak over a series of diminishing concentric rings, the hundreds of crenellations ringing the base representing scenes from Buddha’s life – or something of that nature. 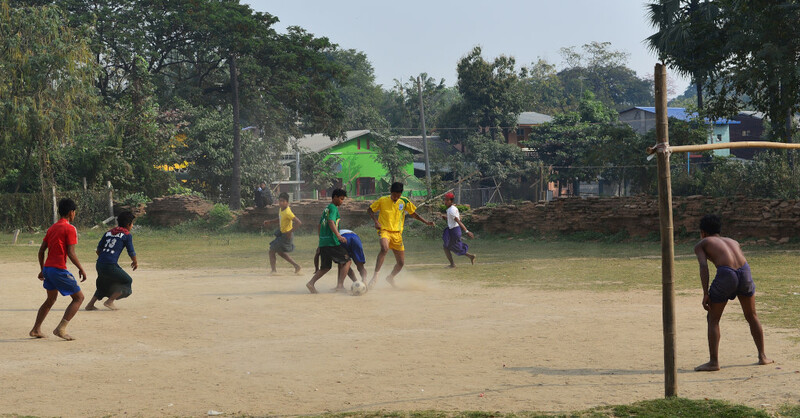 More prosaically, a group of young local men play a game of soccer on the grounds, most wearing sports gear, but those wearing the longyi wrapping it and tying it between the legs so as give their legs more flexibility. 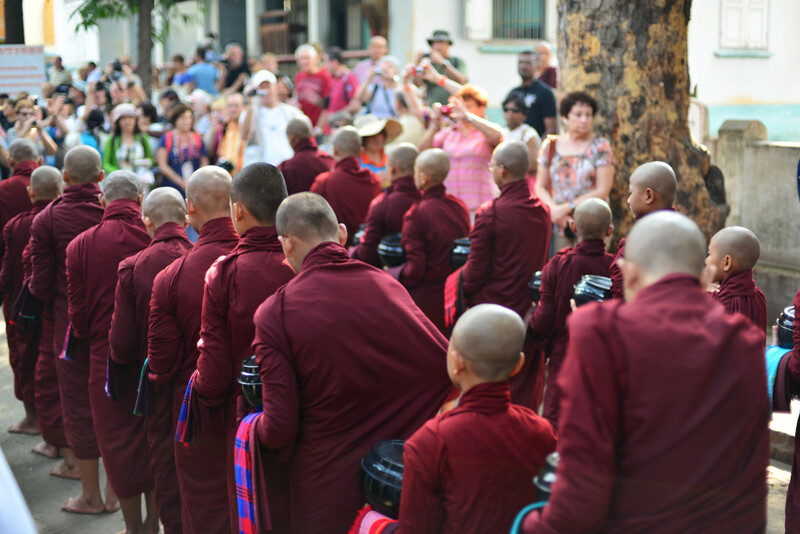 At the Mahar Gandaryone Monastery in Amarapura, we surround a young monk and pepper him with questions to help him practise his English. He recites formulaic answers regarding the length of time he has been a monk and lived at the monastery, how old he is, what he studies, how he spends his days, and so on, but it seems a bit contrived, and yet utterly innocent compared to the ludicrous spectacle that awaits us around the corner. Elderly European package tourists by the busload wait with bated breath and poised cameras to take in the riveting experience of dozens of ochre-cloaked novices lining up bashfully with their food bowls, waiting for the signal to proceed into the interior dining room. The cacophony of flashing lights and clicking shutters pressed in their direction is a testimony to the utterly ludicrous and farcical spectacle that arises before us. 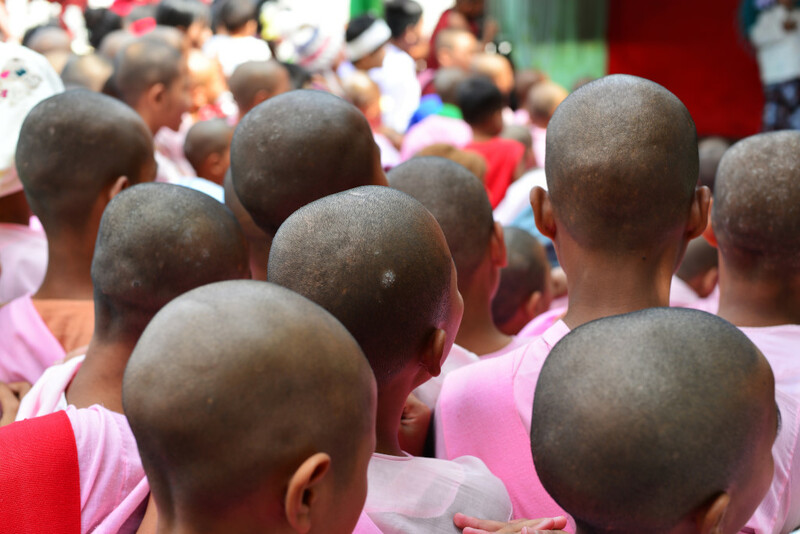 I am just stunned at the circus that these attractions are – I knew Myanmar would bring in the tourists, but not that it would become this kind of zoo. And this is definitely not what I came back to the country for; on one hand, I should have expected it to be bad – but nowhere nearly as bad as this. 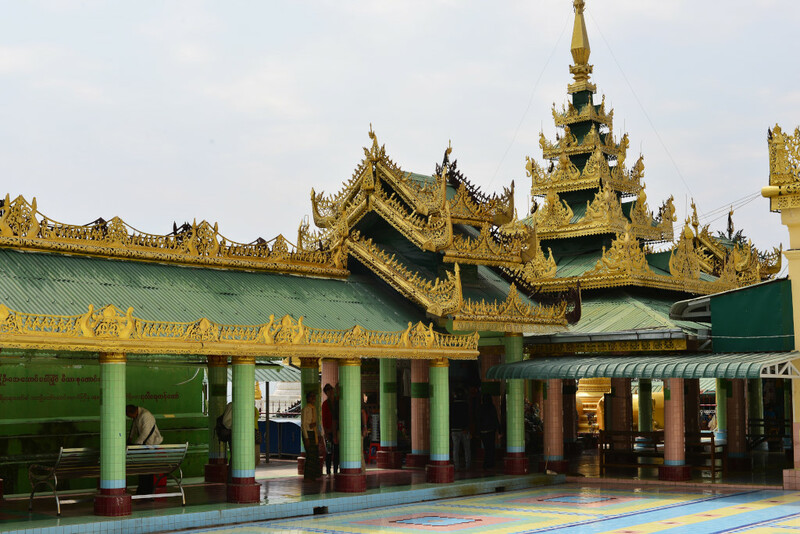 I feel sorry for the Burmese, given that their culture will be inevitably degraded by rising wealth and the crass consumption that mass tourism reflects. The next destinations are more benign although tiredness eventually sets in. 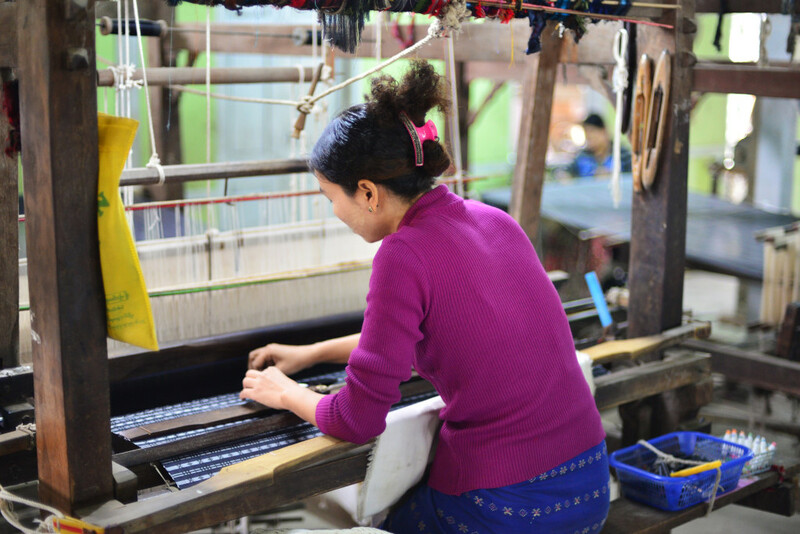 A silk weaving studio with a few looms, the young women and older men patiently toying with their looms as the smattering of middle aged tourists snaps photos of their travail, then crowds into the adjoining shop to try on silk clothing or simply browse. Not that I have the attention span to patiently analyze the designs and quality of weaving, but by Malay standards, the work would be considered extremely basic. 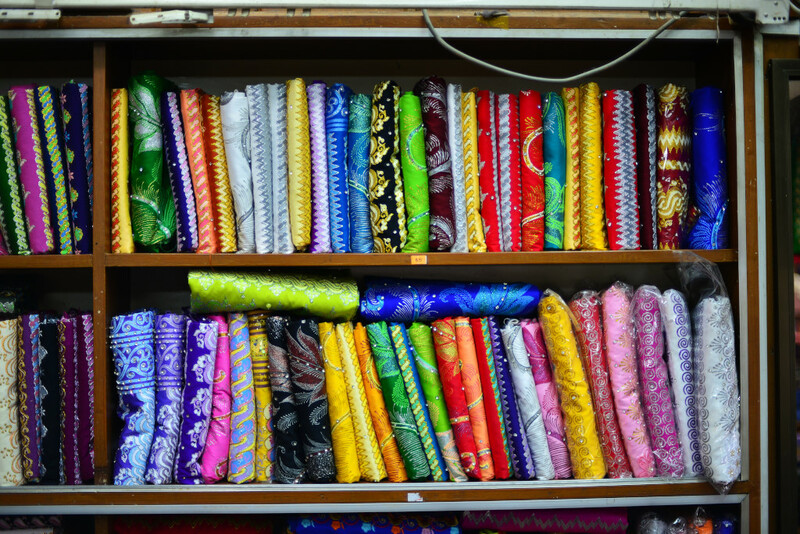 However, the prices are probably lower for silk than anywhere else in Southeast Asia. 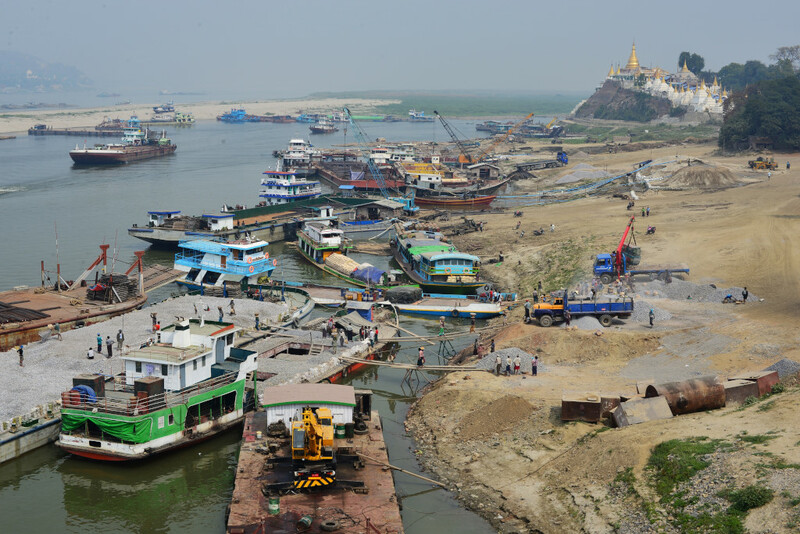 Stopping on the bridge to Sagaing is almost a relief, watching workers struggling to move merchandise on and off the rusting hulks of ancient cargo ships in the makeship port below. 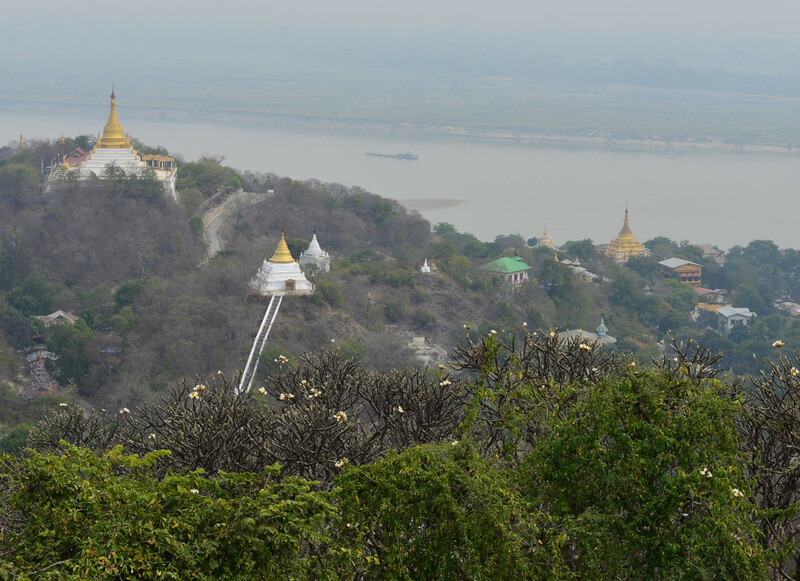 The cream stupas flow over the hillsides of Sagaing across the river, one of the few memories I took with me from my visit to Burma 20 years ago, although I am also fairly sure the pollution was not remotely what it is now. It would be impossible to really enjoy being here with the toxic quality of the air around Mandalay. I am to some degree jealous of the zoom lenses my compatriots have, given that I have to frame shots so as to make as much as possible of the general composition, rather than being able to conveniently isolate subject matter and play with depth so as to reinforce the impact of the photo. 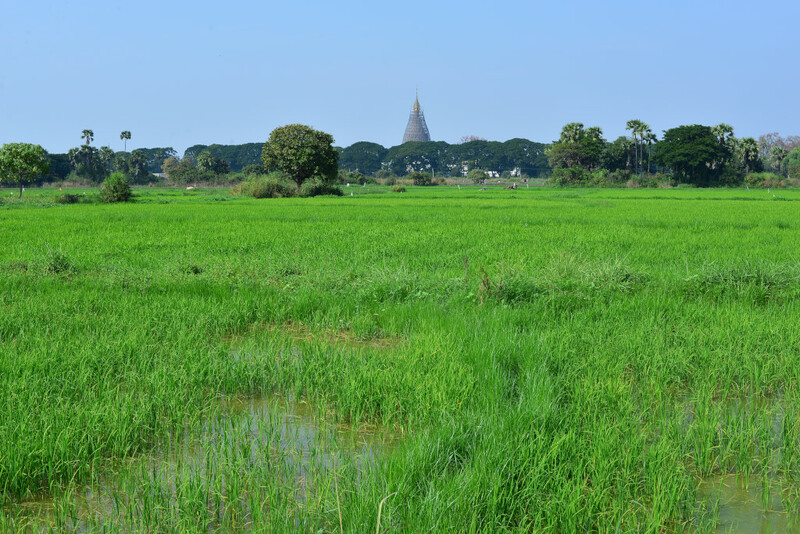 As we drive into Sagaing, the driver comments that rice is grown ubiquitously in Myanmar, but locally they grow a lot of watermelon in addition to some other vegetables. Rice the country produces in surplus, and is largely exported to China. I see a lot of young people hanging around the tourist sites, edgily playing with their cell phones, and they are probably not harboring the most welcoming thoughts. There is almost no hustling or begging, but I can’t see that not coming, given the experience of Laos and Cambodia, which have been exposed to mass tourism much longer. The hustling at Angkor Wat was utterly breathtaking – and yet it is almost non-existent in Thailand, which has probably risen to such a relative level of development that people find it easier to simply go about their own business. 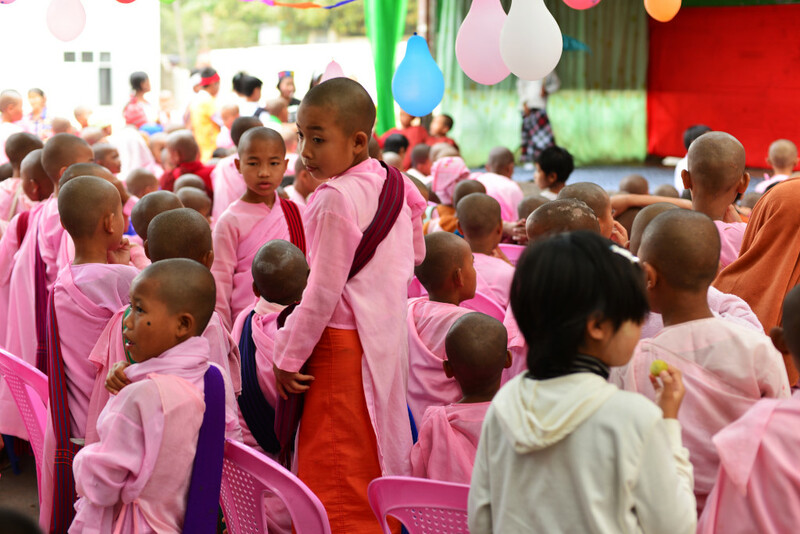 Exciting is our trip to a free Buddhist school, sponsored by a wealthy patron as well as by donations. 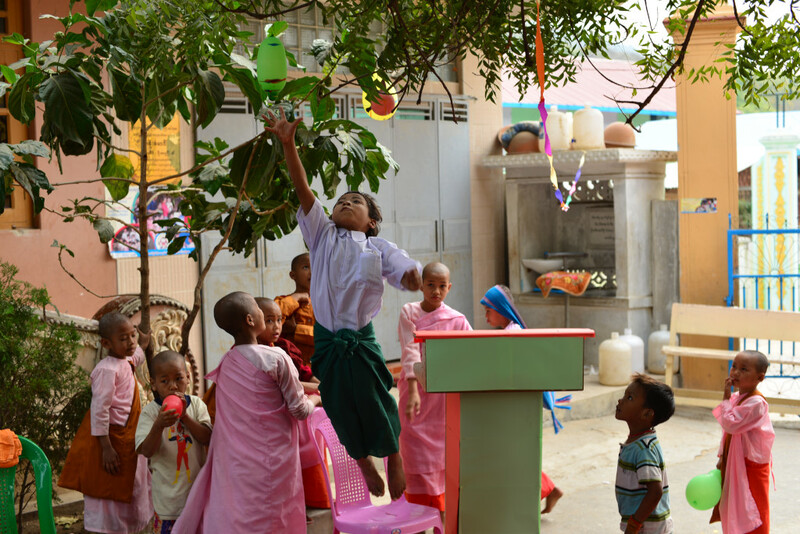 Even though government schools cost very little, there are many who cannot afford even the public schools’ low fees, hence the motivation to have an entirely free school, although it would also necessarily involve religious indoctrination. 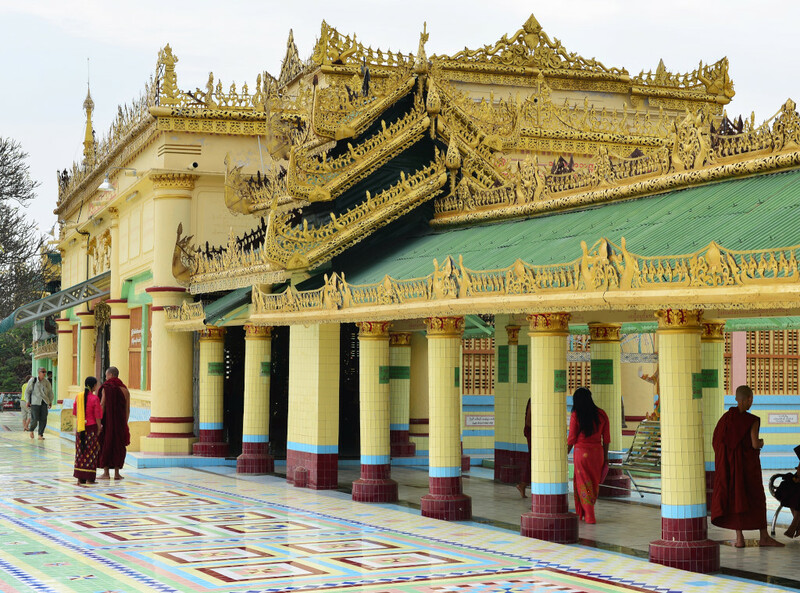 Burma is definitely not short of Buddhist monasteries and monks, much more prevalent than its neighboring and more modern neighbor Thailand. 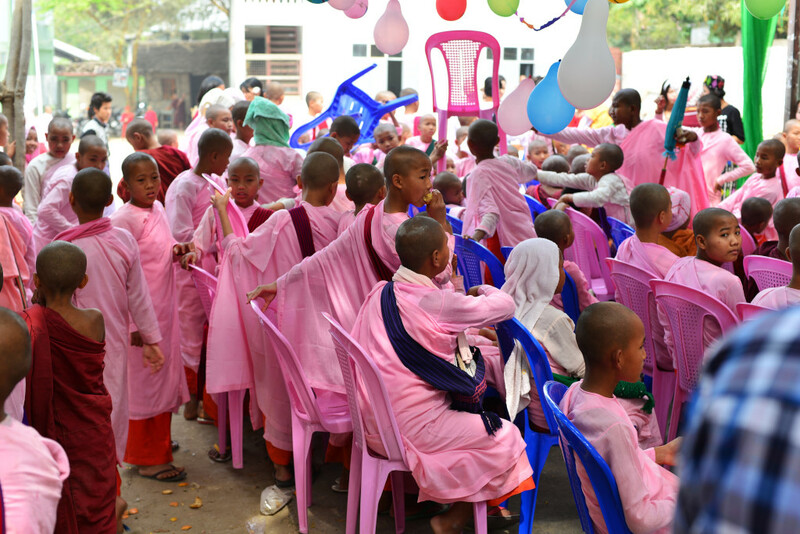 The crowds of young girls are swathed in pink and are rambunctious but sweet, barely able to control themselves in preparation for a small party that is being held for some occasion. The small children grasp wildly at balloons suspended along cables above them, frantic to the point of needing to be calmed by their teachers, then assisting with the positioning of plastic chairs in front of a stage where a skit will be presented by a costumed young boy and girl, comically infused with rap music, which seems to have a concerted effect on the children, who can barely sit still. The experience of visiting is of course all the more palatable since there are only a few other visitors in addition to ourselves. 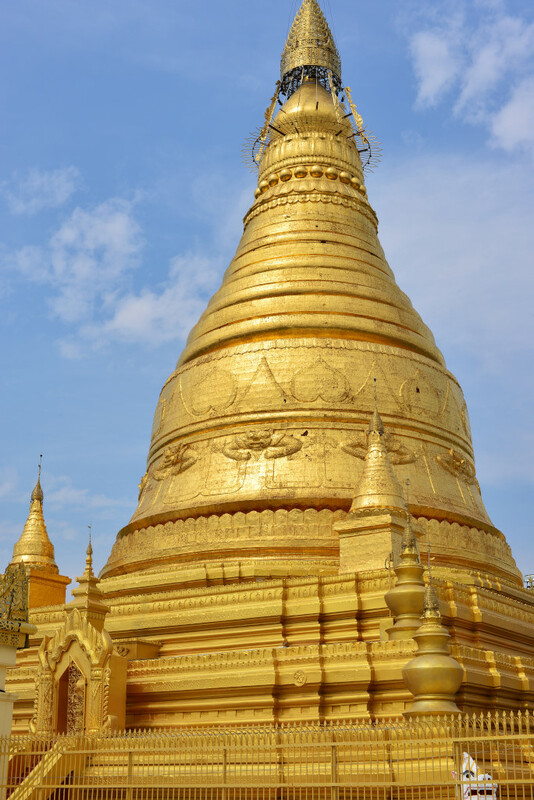 The culmination of the day will be the Soon Oo Pon Nya Shin Pagoda, the largest temple complex set on the highest hill in Sagaing, and capped with the prototypical golden stupa. 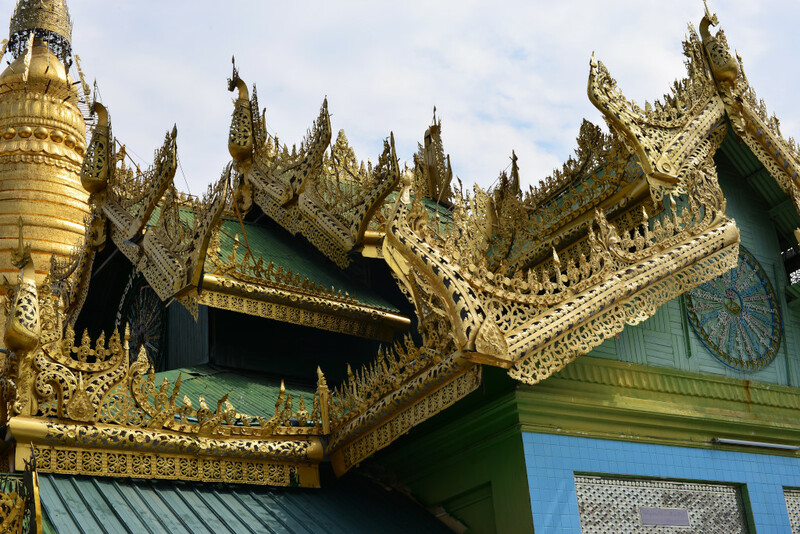 Covered columned passages lead to minor buildings roofed with elaborately carved golden eaves, the intricate filigree ornamentation almost exclusively limited to the terminal points of the tiered gables. 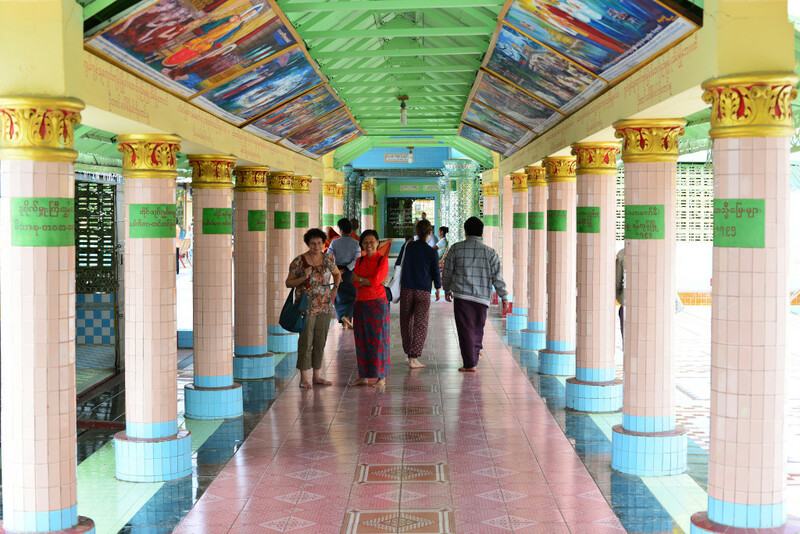 Inside, the arcaded galleries paintings illustrate the life of Buddha (surprise, surprise). What renders the temple unique is the broad tiled plaza from which spectacular views are offered of the surrounding town and temples, the wide river basin beyond, the ever-present haze naturally a limiting factor. 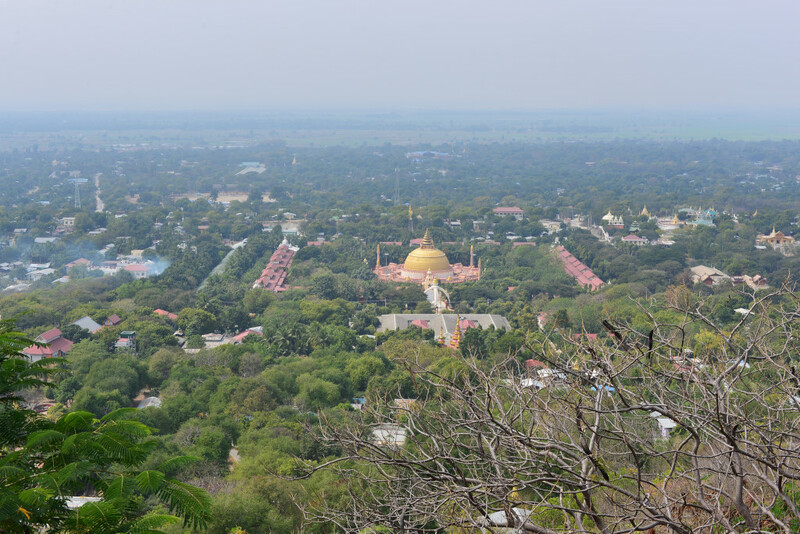 Dry as it might be, the surrounding landscape is largely green, the temple itself encased in mature trees and fragrant frangipani. While there are quite a few tourists, the numbers in no way overwhelm to the point of reducing the visit to an assembly-line experience, with little sense of personal engagement. Deep inside sits Buddha, content as always. 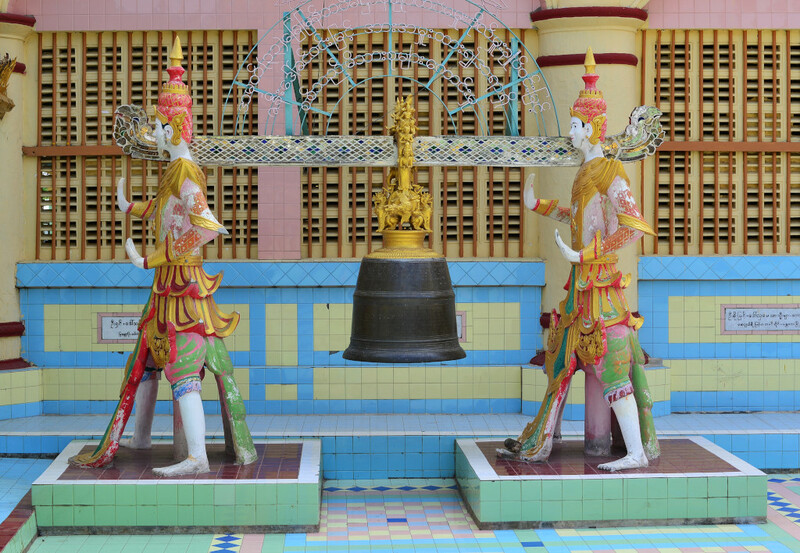 The occasional visitor knocks a stave of wood against the bell suspended between the brightly coloured statues of bodhisattvas. 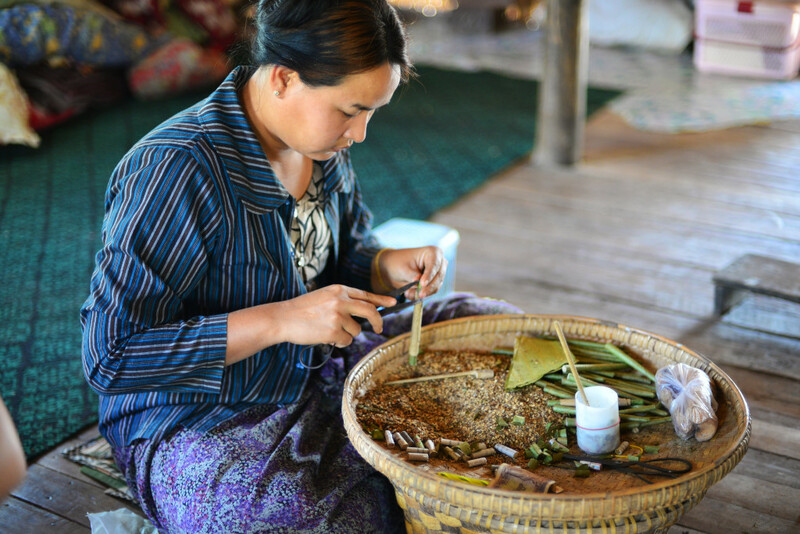 A more mundane experience awaits us as we squeeze into a cheroot-making worship, a woman methodically opening a triangular leaf, dropping a filter onto one end, lightly compacting a blend of tobacco and some shaved bark across the leaf, then rolling the leaf into an even tube, locking the end into place with a daub of glue placed on the extremity of the underlying leaf. 50 cheroots for 1,000 kyat seems inviting, except that by the end of the day they would all be shredded, given where I would have to carry them. 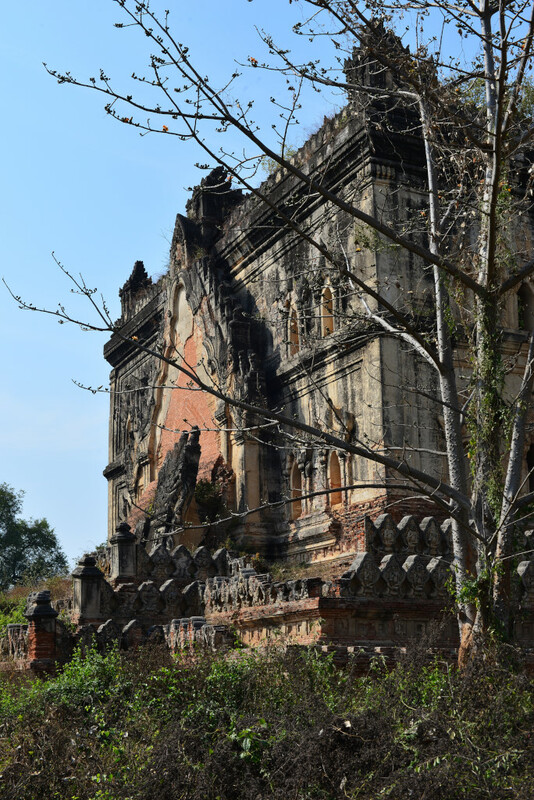 Inwa could in theory have been quite an experience, except that we are expected to pay a 10,000 kyat admission for several sites for which the admission is apparently shared with several major attractions in Mandalay, including the royal palace. 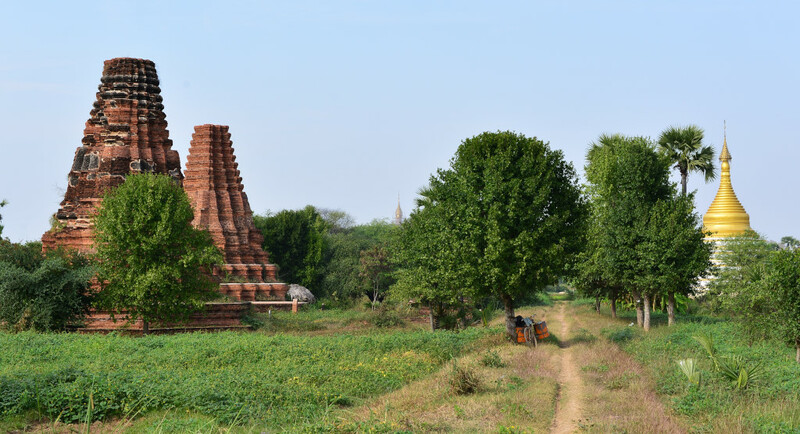 Be that as it may, I don’t like these kinds of surprises sprung on me, and I am happy to forgo the teak palace set in the midst of a number of rice fields and admire the remnants of brick stupas crumbling amongst the rice fields. 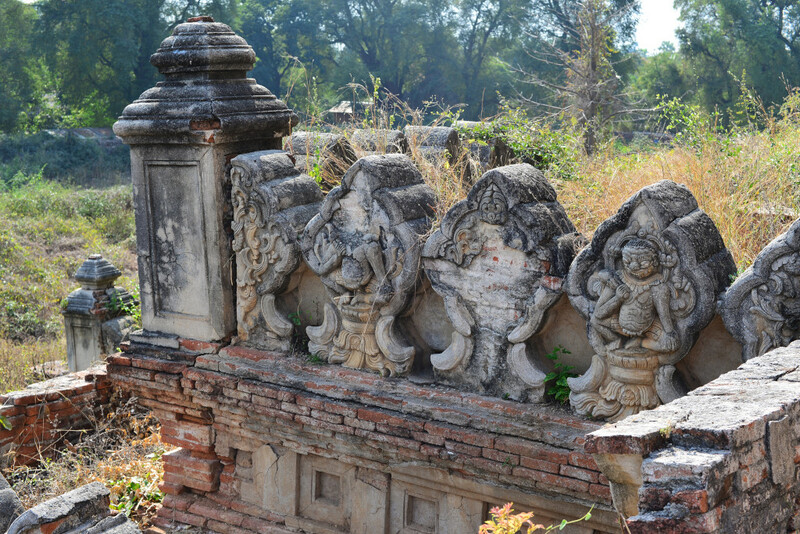 The entire area around the teak palace is littered with stupas crumbling amongst the fields and forest, their demise catalyzed by a severe earthquake that occurred in the country in 2012. Prior to the teak temple, we visit the remains of one large bulky structure with arched entrance and the remains of the style of crenellation we had seen earlier on in the day, highly atmospheric but threatening to collapse in its entirety. 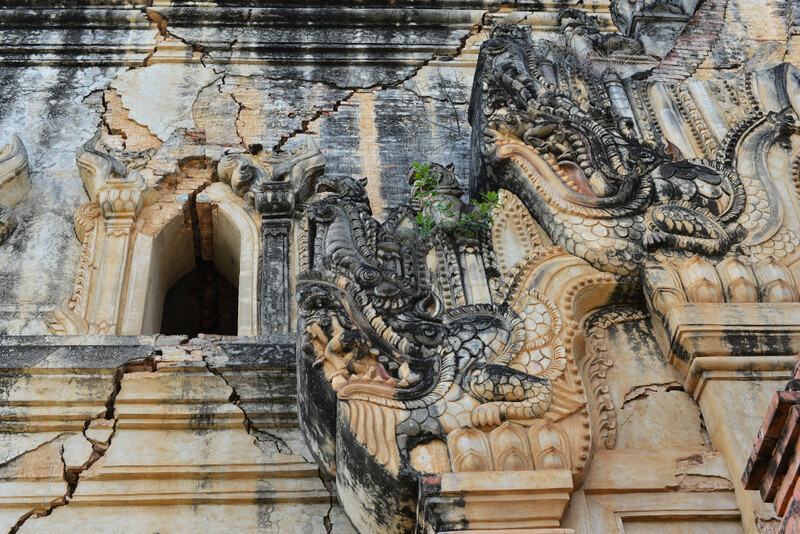 Ava (or Inwa) was the ancient capital of the Burmese kingdom from the mid-14th to the mid-15th centuries. 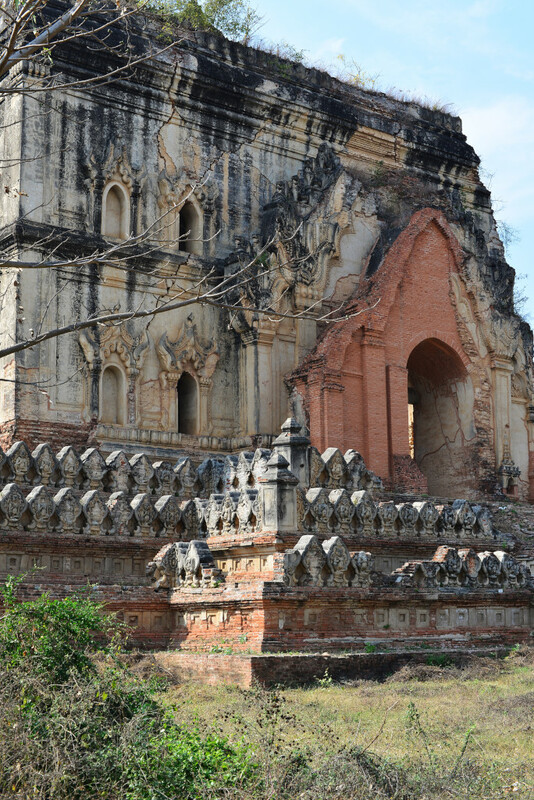 The kingdom inherited the reins of Burma following the collapse of the Bagan Kingdom in the late 13th century. The existence of the Ava kingdom provides a testimony to the legacy of insecurity besetting Burmese governance, what with the constant threat of usurpation and the violent drive to assert its hegemony over perennially insurrecting vassal states. 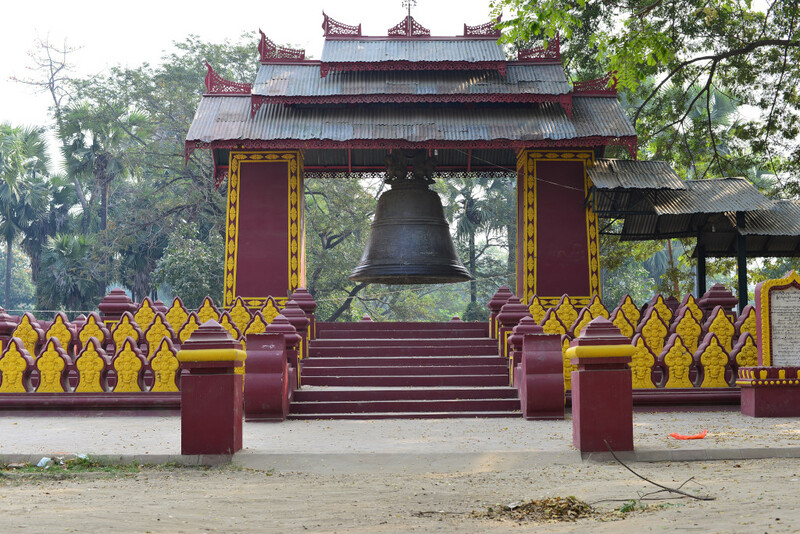 Ava maintained at best a tenuous control over Taungoo and Prome to the south, and the Shan states to the east during some period of its existence, until Taungoo finally vanquished the Ava kingdom altogether in 1555. The package tourists are loaded onto individual horse carts that are driven from some parking lot on the narrow country lane towards the teak temple, an activity that sounds very romantic, but not in the case of several hundred overweight and geriatric Europeans, the line of horse carts spanning the horizon. On to another monastery for which the 10,000 kyat pass is required, and which I of course refuse to pay. I am not sure I would ever recommend that anyone visit these sites in the context of a guided tour, as the numbers of peoples visiting them during tour visitation periods reduces the experience to a total farce. If the hordes of package tourists weren’t present, the experience would probably be magical. I am now thinking of reconsidering my itinerary in the country, possibly even cutting my trip short, given the terrible infrastructure combined with the vast excess demand being placed on resources by the tourist hordes, and the potential incredibly inflated expenses that could occur. The Estonian couple returns early from the monastery telling me “it’s just more of the same, you haven’t missed much”. As further consolation, he passes me another cheroot, and emphasize that if I want to see something really authentic, I should go to the market on 84th and 26th streets in Mandalay – but I have to go during the day, as it is largely shut down by the late afternoon. 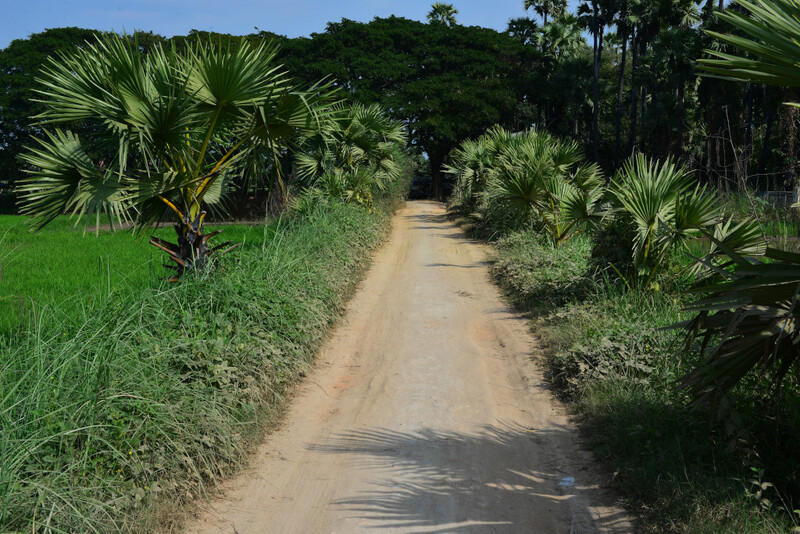 Traversing the roads, it becomes clear there is no way these attractions would have been accessible by means of public transport. I should have visited these attractions by means of motorcycle, as it seems to be the only realistic way of being able to see everything, and also allowing to focus more attention on the secondary attractions less overwhelmed by package tourists. 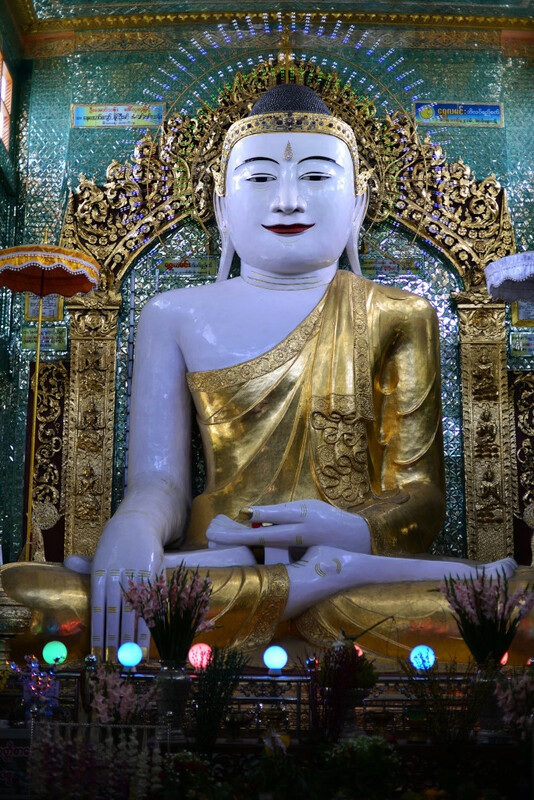 Reviewing the Lonely Planet guide later on in the evening it is apparent that there are far more attractions in the Amarapura/Sagaing/Inwa area than then the ones we visited. We are now running out of time, not that I really care, since I wasted a good part of the day not visiting the sites with the high price tag, the rest of the offering just one big circus. Awaiting us is the inevitable sunset moment at the U-Bein bridge, although first we must visit the jade temple the guide had been raving about. Some wealthy local donor has apparently single-handedly funded the construction of a temple made entirely of jade, in addition to extensive warehouses intended to house jade traders. Careening along the heavily potholed road, we can see that the warehouse complex is gigantic, some six whitewashed buildings the size of football fields being built exclusively for the purpose of housing jade traders – incredible! The jade temple is something else, a blend of Gaudi and Disney I joke to my fellow visitors, an incredible waste of precious jade for a poorly designed, gaudy and unrefined structure, the designs on the temple exterior crude, poorly constructed and unimaginative. The backdrop is even more surreal, a troop of tiny, emaciated workers sprawled over the stonework, playing with some detail or another, staring at us in amazement from their heavily draped figures, the aural accompaniment an ear-shattering soundtrack of Burmese popular folklore whose volume runs far beyond the capacity of the faltering sound system. 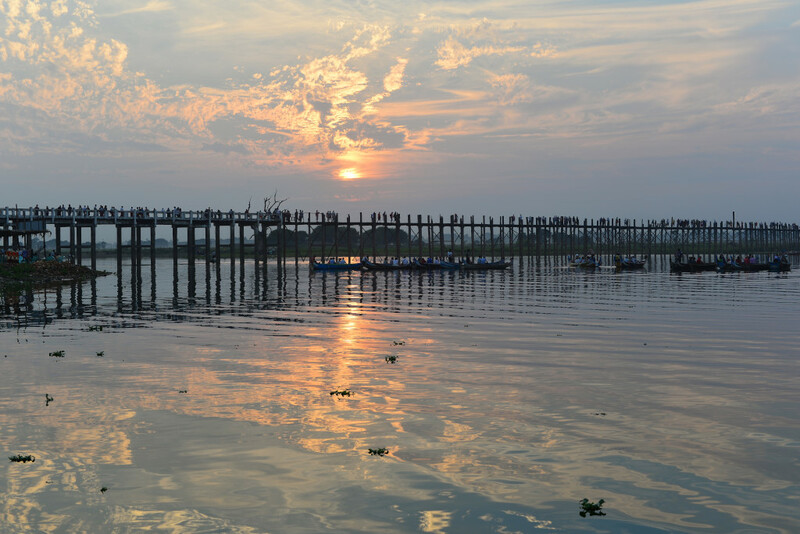 We return to Amarapura to take in the U-Bein bridge, which is one of the star attractions to experience in the Mandalay area, the structure essentially a very long rickety teak bridge crossing the swampy and polluted lake against which Amarapura is set. The 1.2-kilometre bridge was built around 1850 and is believed to be the oldest and longest teak wood bridge in the world, although now it would in theory just be some decrepit and dangerous vehicle for trudging from a small town to the village across the lake, if the gods of tourism hadn’t decided suddenly and spectacularly that Myanmar is it in 2015. We already have an inkling of what we will encounter when navigating through the morass of taxis and tour buses. Viewing the bridge frontally we are confronted with thick mass of almost exclusively elderly Europeans. Various encampments replete with rows of deck chairs on the ground below us appear as well as the angled portion of the bridge. Inconceivable numbers of tourists trample their way back and forth on the rickety structure, the threat of imminent collapse becoming apparent. Words really fail me at the scale of ridiculousness of this entire venture, perhaps really the only reason to be here – the utter farce that tourism has turned the Mandalay area into. I find it hard to restrain my vitriol to the poor guide who is just trying to profit to some tiny extent from this frenzy of humanity. We descend onto one of the grassy mud flats, the detritus of consumption lapping against the banks around us as we all position ourselves, many tourists self-importantly with reversed baseball caps on their heads, peering through expensive cameras mounted on tripods for photos that the internet is inevitably already swamped with. The sun disappears behind the clouds on the horizon, tinges of orange appearing as the immediate clouds in the area of the sun and the murky water below us reflect its colour. The ephemeral but barely memorable moments are over, the enormous crowds plodding back across the bridge to their respective buses and inevitable closure to another long day of slogging through the tourist sites in the area. Clambering along the springy loosed wooden slats nailed to the bridge supports, I can only imagine it breaking somewhere and some crusty elderly visitors plummeting to their demise. 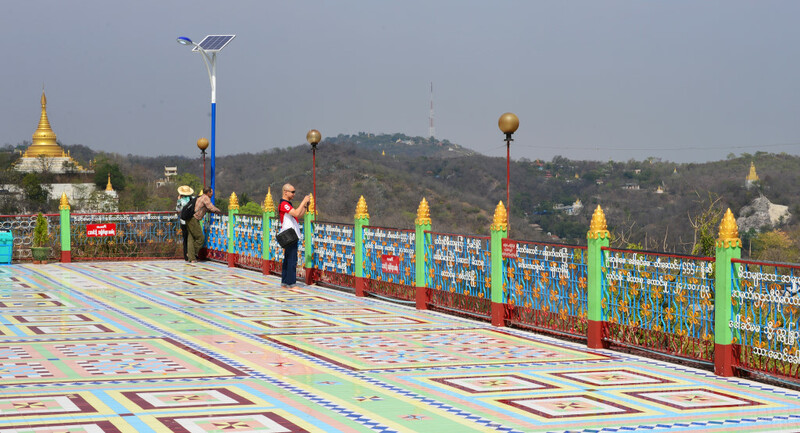 As usual, any monks on the bridge get cameras jammed in their faces to the point of the utterly ridiculous, despite which the Burmese remain remarkably composed. Local vendors attempt to sell overpriced snacks to the passing torrent of people, although the Europeans probably wouldn’t touch what they are offering anyway. Back on terra firma, the return to the vehicle involves passing by cordons of shops selling drinks, paintings, weavings, beaded necklaces and purses and the predictable other knickknacks that seem to abound. We trudge back to our mini-bus, then weave through the traffic en route to Mandalay. I return to my conversation with the driver regarding his schooling options. He studies geology in Shan state, but the reputation of the school is insufficient to give him much of a chance with the mining companies working in the country. 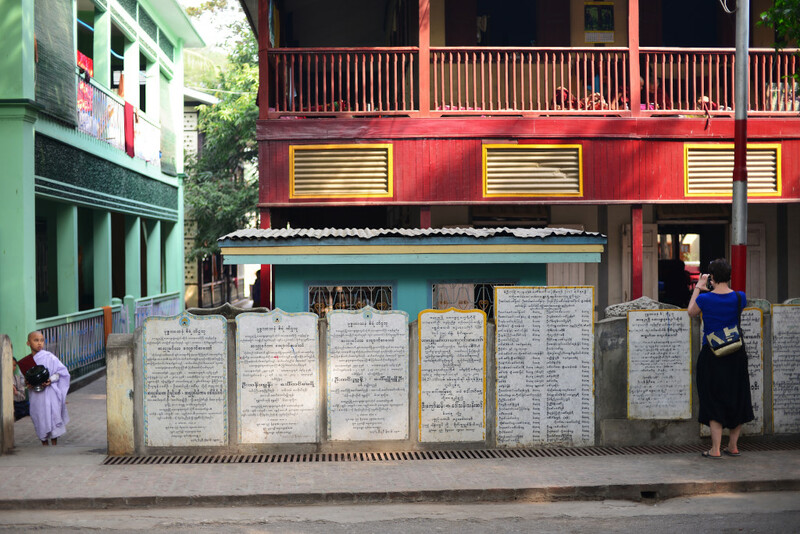 He would have to attend one of the major university of the country, either in Yangon or Mandalay, but he could not afford the cost, the gating factor not being the cost of schooling itself, rather, the cost of living in the respective cities. Back in the vehicle, we experience a general sense of relief, as if the general consensus is to just get the trip out of the way and cherish some of the special photos that were taken. Despite carrying a swank camera, I doubt I would have great photos to demonstrate, but nonetheless, I probably am not the only one disenchanted by the crass overexposure of the sights we had visited during the day. We are happy to be returning to our respective lives and no longer find ourselves in the midst of a torrent of tourists trying to capture that momentary buzz of the exotic. 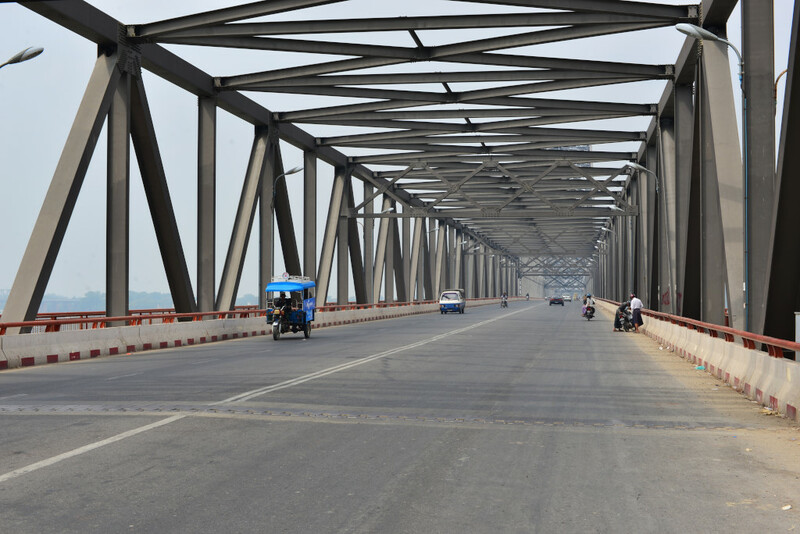 We rattle along the bumpy paved road back to Mandalay in the dusk, the onset of darkness bright enough to show the thick haze that blankets the region, the concentration of shops and restaurants increasing as we progress further north towards the city centre. 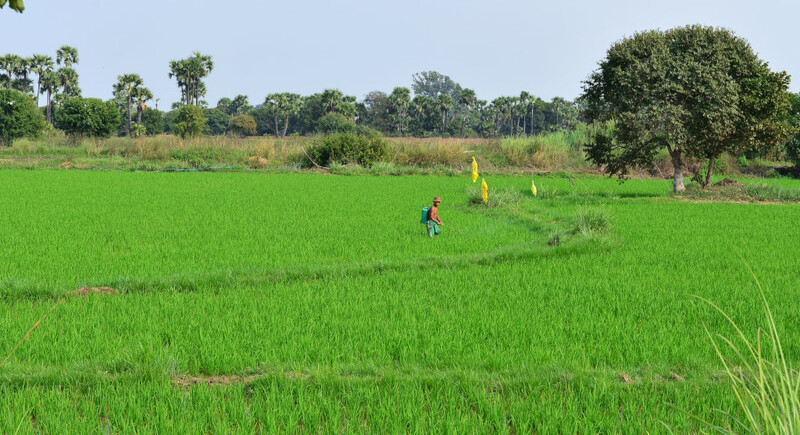 The driver lives in Amarapura on his father-in-law’s land with his wife and 8 year old daughter. Buying land is out of the question for them, despite the fact that he drives on this tour several days a week, works in the marionette theater by the Sedona hotel, and tutors English on the side. His mother owns an apartment far outside of Mandalay, but she can only afford to rent a modest place in the city. Land has gotten far too expensive here for humble people to buy, especially the land situated in the centre of the city, as unexciting as it may look. Life is not easy for the people, and they are looking uneasily toward the future. They are positive about the changes that the country is experiencing, but also pessimistic what it may offer for the poorer masses. It’s hard to stay on top of business opportunities when the government also creates so many complications. For example, you need a more expensive special license to drive foreigners, and yet if you do, locals no longer trust you. Do Burmese drive Chinese cars? They used to, but the cars were such bad quality that they were abandoned. As much as China would love to sell cars here, Burmese prefer Japanese cars, although Korean cars are gaining increasing traction. I note that as the driver and guide speak with each other, they use a quality of language that is far clearer and better-enunciated than the indistinguishable torrent of words that I have been hearing on the streets. He confirms that Burma has a substantial drug culture, telling me the north of the country has a big production of heroin and cocaine, referring to Khun Sa, the famous drug lord who once dominated the trade. But others now drive the opium trade, and apparently methamphetamine has surged in importance in recent years, feeding the habits of Chinese drug addicts and the increasing dependency of the young in Shan and Karen states, drug dependency intimately linked with the perceived hopelessness of their lives. Particularly the methamphetamines are produced very cheaply, and represent an affordable escape from the peoples’ bleak existences. 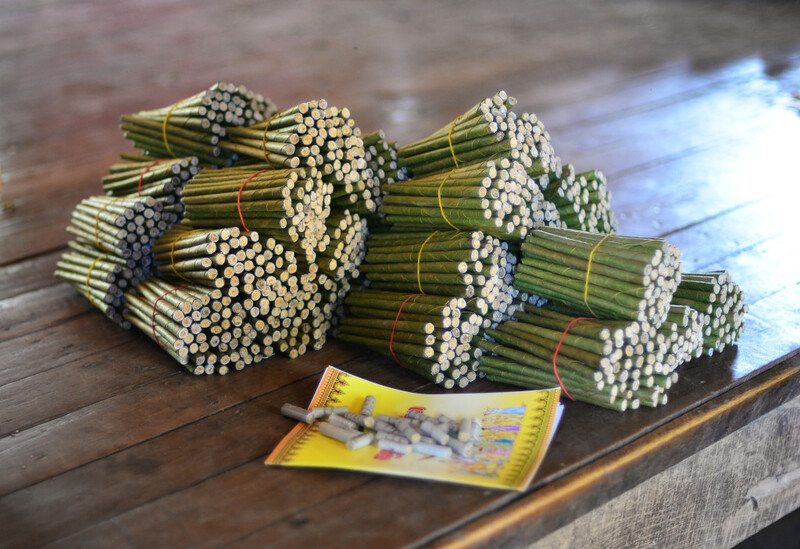 In his childhood, the driver tells me, he and his friends would travel to Taunggyi to party and get high, as it was considered the place to buy cheap recreational drugs. Back in Mandalay, my top priority is to caffeinate – and so I do. Now elated with a good dose of caffeine in me, I trudge up 81st Street back to the Fortune hotel, immediately stopping at an Indian-owned automotive shop next door, where the older owner sits down with me and confirms that this is indeed the centre of the city’s Indian population, reflecting an even mix of Muslim and Hindu Indians. The Indians have been here for a long time, his own family originating from India over 100 years ago. He has no idea what region of India they came from, nor do any of the Indians speak Indian languages, despite their professed identities. 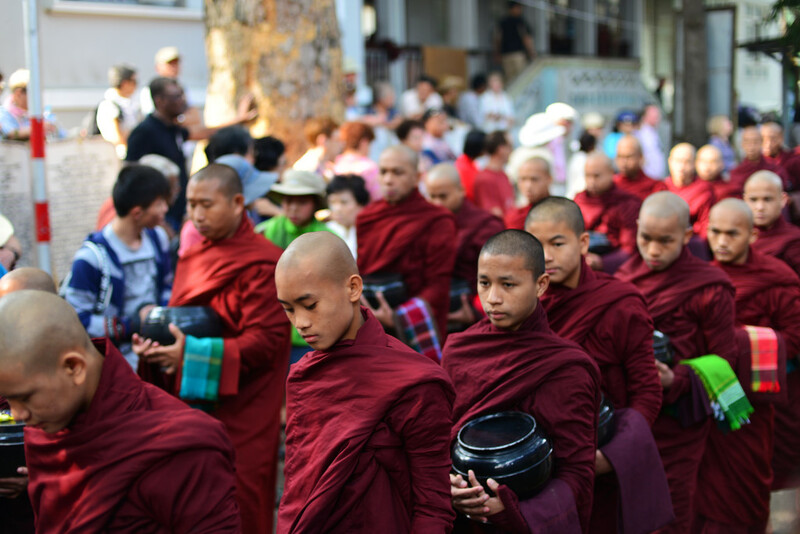 And they do not eat Indian food, as they have integrated into the Burmese society long ago. 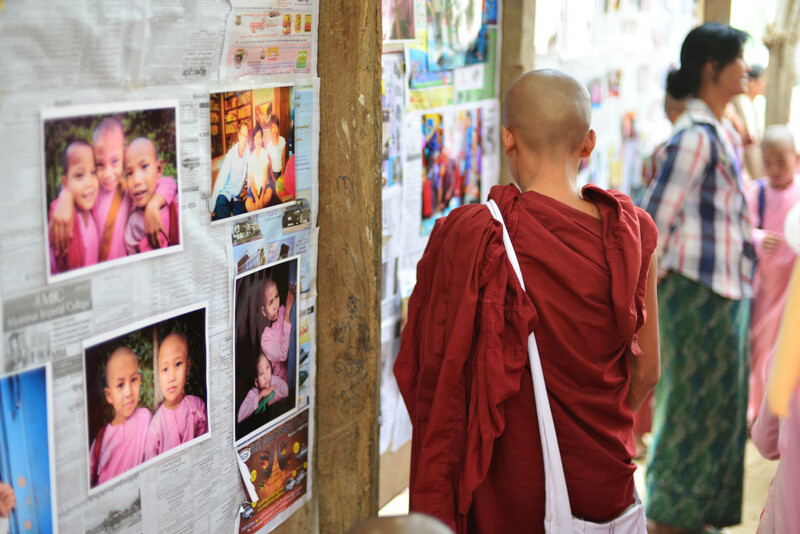 They were hit last year by the violent outbursts against Muslims last year again – the conflict didn’t just happen in Rakhine state, but also in Mandalay and other flashpoints. Due to increasing vigilance and security, things are peaceful again. I ask myself to what extent Myanmar will suffer a degradation of security and increase of crime as a result of the weakening grip of the junta. I disingenuously extol the virtues of the tour guides today to the young receptionist at the Fortune Hotel, who is only too happy to hear of my recommendation – but please tell people they will be forking out another pile of money for some of the attractions. It’s really not OK to subject clients to those kinds of surprises. He confirms that the Shan restaurant is on 81st street, but closes at 9:30 pm – and I can just see everything being closed by the time I get out the door again. Whatever happens, I cannot afford to lie down and take a rest! When I finally reach the Shan Ma Ma restaurant sprawling out onto 81st Street around 29th Street later on, it is still open, and really not such a bad proposition, the portions perhaps too generous, and quite inexpensive. Sure, there are hungry dogs roaming around the tables, eager to sniff through the most minor scraps, jumping away at the least provocation, the occasional overly-fattened rat darting from one sewage-reeking orifice to another, but that is simply part of street life in Southeast Asia. Two dishes, a sweet pork preparation with chili and garlic in addition to a sweet and sour chicken dish with garlic, carrot and cauliflower accompanied by a slightly sour mushroom broth and the usual copious amount of rice in addition to a small bowl of roasted soy grits. The owner instructs me flamboyantly to come back tomorrow, her bright expressive eyes flashing. Sure, why not!